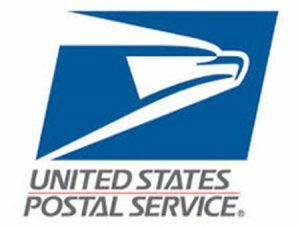 The directive came in the PRC’s Annual Compliance Determination, a mandated assessment of the US Postal Service’s compliance with pricing and service performance requirements for fiscal year 2017. Chinese parcels volume increased from 1.2 billion in 2007 to 20.6 billion in 2015 and said China now sends more parcels than the United States, according to a report published by the Senate in January. The issue of international mail came to the Senate’s attention after it was linked to the opioid crisis. (1) Require AED on All International Packages. The State Department and Postal Service should work together to take steps to prioritize the enactment and implementation of requirements that UPU member countries collect and exchange AED for all international packages. Congress should pass any legislation necessary to facilitate the agencies’ efforts. (2) The Postal Service Should Include Provisions in All Bilateral and Multilateral Agreements to Collect and Exchange Additional and Better Quality AED. Any agreement between the Postal Service and one or more foreign posts for express package delivery should include provisions requiring the foreign posts to provide the Postal Service with quality AED for all packages. The opioid crisis also brought the issue of international mail to the attention of the President. On March 19th, the White House issued a statement on “President Donald J. Trump’s Initiative to Stop Opioid Abuse and Reduce Drug Supply and Demand,” a three-pronged initiative that would “cut off the flow of illicit drugs across our borders and within communities” as one of the three strategies. You can find that report on the White House website. Between the focus on international postage-rate equity and the opioid crisis, there’s pressure on the Postal Service to be more aggressive when it comes to working with foreign posts and the UPU, which could have a positive impact on US domestic sellers. Fascinating stuff! While it doesn’t directly address the ridiculous cost disparity of the e-packet, I will take any scrutiny whatsoever on e-packet shipments. Hopefully. they will pass a ton of regulations and as a by-product cause the cost of this evil Trojan horse to skyrocket to the point that it is cost-prohibitive for it to be used so much. I’m shocked I still have an online business whatsoever competing with that!! chick – you still have a business because some Americans refuse to buy chinese goods directly. Doesn’t mean they don’t buy chinese goods – they just prefer to keep their dollars in the USA for the most part or they don’t want to wait 6 weeks for the item to maybe show up. Wish trump would move a little bit faster on this issue. Like you I too struggle to compete.